Towards the end of November Japan’s health ministry approved a brand-new wearable walk assist robot. 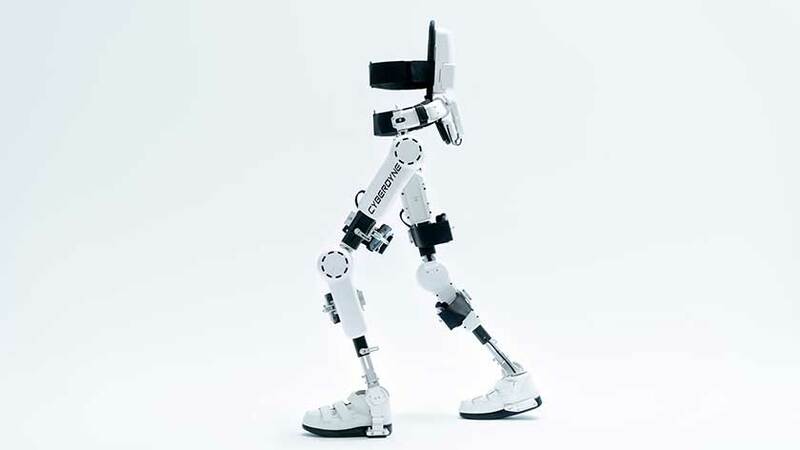 This robot will be used in medical facilities and has been approved to spur growth for walk assist products across the Japanese health industry. The CyberDyne HAL system has been approved for medical use and it works as a lower limb assistance robot. This walk assist robotics system has shown incredible promise with patients who are struggling for muscular dystrophy as well as ALS. This system was designed by engineers at the University of Tsukuba by Yoshiyuki Sankai who is a professor and now the head of Cyberdyne. Walk assist HAL from Cyberdyne works by monitoring sensors attached to the thigh as well as throughout the lower body to detect various signals from the nervous system. Even if motor function is impaired the limbs can provide power facilitated movement to all of the patient’s joints controlled by their own electrical nerve impulses. As a result the body can start to remember how to walk and the device can actually provide a muscle memory exercise for the limbs which could one day aid patients in restoring limb function. Not only does walk assist help patients remember how to walk but it can provide them with the ability to delay the progress of their disorders and regain leg functions for more natural movement and a slower disease progression. The expansion plan for this device is to introduce it into eight hospitals and eventually try to get the treatment as part of a qualified insurance coverage. Clinical trials took place at the Niigata Prefecture hospital which will be hosting one of the devices full-time. 24 patients underwent nine sessions over three months and were all able to walk greater distances than patients who underwent regular physiotherapy. Germany has already pre-approved sessions with this robotic device at a cost of €500 for a 60 to 90 min. session. Work related injury insurance throughout Europe covers 60 sessions for spinal cord injuries. Although Cyberdyne is still a relatively new company that just filed with the health ministry in March, the equipment is undergoing expedited screening to become a part of the medical industry. As new reforms are made and as the government continues to promote products like this we could see a massive rise of robotics in physiotherapy and for walk assist systems.